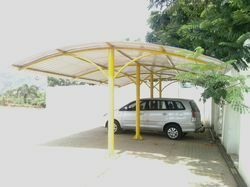 Parking sheds construction of any size and any design as per customer requirement taken place. Team will visit your place and manufacture as per your taste. Balcony shed with fibre roof or GI roofing as per customer size and requirement. 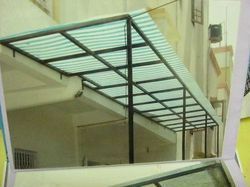 Looking for FRP Canopy ?